A Cairn is a stack of rocks indicating a trail. Often when I am hiking in the mountains or a desert there are long expanses of flat rock or slick rock and so the trail seems to disappear. Hikers make small piles of rocks in these areas to indicate where the trail continues. 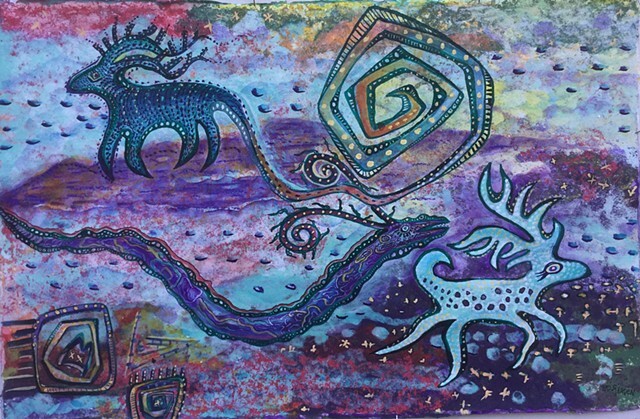 The deer in this painting are looking for the cairn so they can decide which way to go into their future. So this picture is also symbolic. We must pay attention to the "signs" and to those who have gone before.